The Heartland Bernese Mountain Dog Club would like to cordially invite you to join us for fun and drafting at our ANNUAL BACK-TO-BACK DRAFT TESTS!!! LOCATION: Cherry Glen Recreation Area at Saylorville Lake, Shelter #2. 4586 NW 94th Avenue, Polk City, IA 50223. This is a lovely area near the Des Moines River with trails, ponds & shaded areas. CLOSES: Wednesday, May 15, 2019 at 6:00 pm CST at the Test Secretary's address. There will be a veterinarian on site both test dates. The Heartland Bernese Mountain Dog Club welcomes spectators at our draft tests! 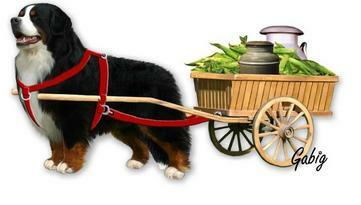 Please tell your friends and plan to spend the day enjoying our beautiful Bernese Mountain Dog companions. We will have lunch and refreshments available for purchase on-site.